A non-categorical, characteristics approach to addressing high-prevalence mild disabilities. 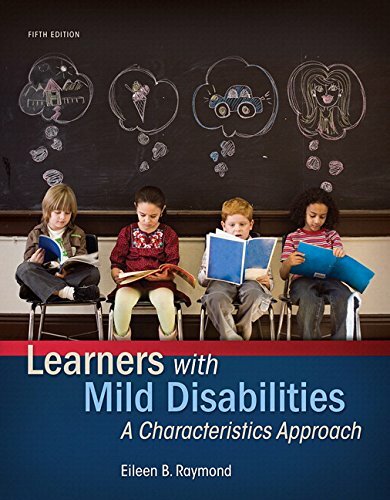 Learners with Mild Disabilities: A Characteristics Approach focuses on high-prevalence disorders affecting school learners today, including mild intellectual disabilities, learning disabilities, emotional/behavioral disorders, ADHD, autism spectrum disorders, and communication disorders, as well as on low incidence conditions that may manifest in the milder range, for example sensory, physical, health, or TBI. The author lays the foundation for addressing the needs of special learners and then focuses on learners from the perspective of alternative non-categorical frameworks. She describes students with disabilities and related conditions with respect to a variety of individual strengths and needs, considering their cognitive, language, academic learning, and social/emotional characteristics. Readers see how to apply these conceptual frameworks by analyzing a number of vignettes and extended case studies based on the experiences of real children and teachers. Designed as a primary text for use in undergraduate and graduate courses addressing the characteristics of learners with high prevalence or milder levels of disability, the text is also useful for the first specialized course in a special education program. It supports programs in inclusive education or the growing area of generic special education. The Enhanced Pearson eText features embedded video.